We recently decided to boil the majority of a carton of eggs. 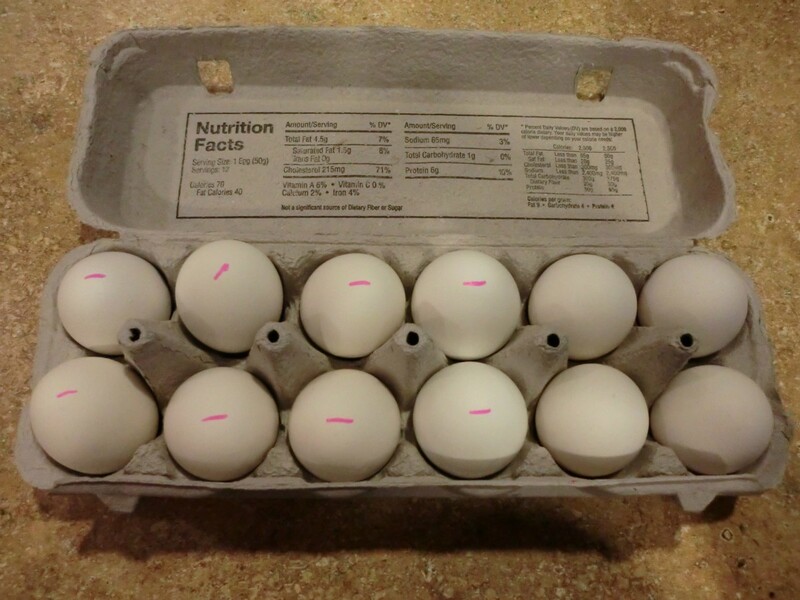 Since there wasn't an extra carton laying around, we decided to mark the boiled ones with a Sharpie so that we knew which eggs were which. You're right, Jeanette1940--but it's nice to have a way to tell at a glance, as well as a reminder in case you (or someone else!) forget that some of them are cooked. Another way to do it is to write "HB" on the end of each egg in pencil. I learned that one from a mother of five, many years ago.